Music – “I Like What I Eat” from Songs To Strike A Chord by Jon Barker. 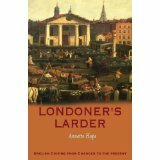 A wonderful book by Annette Hope, “Londoners’ Larder’, traces “English Cuisine from Chaucer to the Present”, published in 2005. Tracing the culinary history of London through well-known characters such as Geoffrey Chaucer, William Shakespeare, Samuel Pepys, Charles Dickens and others, the path of English cooking comes alive. 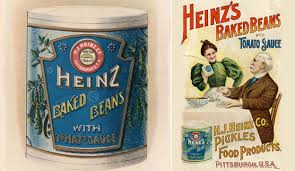 Apparently, it took Heinz another 20 years to make a second attempt and this time, with a new factory, reduced manufacturing costs, and a huge advertising campaign, the beans became a British staple. Curiously, the author also says that the baked bean phenomenon was “…probably responsible for the fact that many of today’s adults have a gastronomic age of nine”. Now, this is a fascinating comment to me. I have frequently heard “gastronomic age” in reference to a period in time, when some foods were in vogue, trendy, or much adored. French cuisine has always been with us, it seems, yet at certain periods in history, it was de rigueur, and at other times, eschewed by some. Vegetarian cuisine has been around for centuries, but now, it is highly visible and frequently practiced. We may now be in the gastronomic age of molecular gastronomy, practiced by the likes of Ferran Adria at his now closed restaurant, “El Bulli”, or by Wylie Dufresne and others, using such things as carbon dioxide, liquid nitrogen and equipment such as a thermal immersion circulator (for sous-vide cooking) or an anti-griddle or trying to achieve “spherification”. These are the building blocks of molecular gastronomy. However, the author of “Londoners’ Larder” uses the term “gastronomic age” to quantify something more esoteric: what “age” is the eater at in life? Having a “…gastronomic age of nine” suggests to the reader that these individuals have not “progressed” much in terms of their taste buds, despite having achieved adult status. They are (perhaps lamentably), “stuck” in the gastronomic age of a child. Sort of like an evolutionary dead-end. They are unable, or unwilling, to move to the “adult” stage. But, what defines that stage? How does someone, who is stuck in the gastronomic age of childhood, progress to the gastronomic age of adulthood? Perhaps this is similar to saying, “It’s an acquired taste”, about a particular food. Pondering this, I cast my mind back to the time I was nine (with the help of a few cookbooks published in the same year, but I’m not saying which year). Typical foods popular around the time were Iceberg Salad, Swedish Meatballs, “Tang”, Tunnel of Fudge Cake, “Underwood Deviled Ham”, “Beefaroni”, “Shake n’ Bake”, Deviled Eggs, Cheesy Pups, and Italian Spaghetti. I do remember eating a lot of Iceberg Salad, “Shake n’ Bake” and my Mom’s version of Italian Spaghetti (she was not Italian). 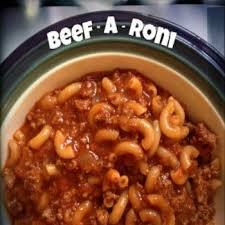 We had the occasional can of “Beefaroni”, but infrequently. If this be the basis of a gastronomic age of nine for me, where do I stand now? 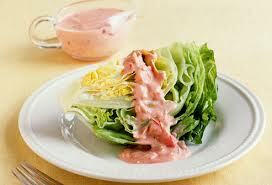 Suffice it to say that I seldom buy Iceberg lettuce to make Iceberg Salad. It’s 99% water, pretty much flavourless and expensive. Now that I’ve progressed to a higher plane of existence on the gastronomic level, there is arugula, fresh spinach, romaine, friseé, endive, radicchio, mizuna, escarole, oak leaf lettuce, cress, butterhead lettuce and more. However, when I was nine, there was pretty much Iceberg Lettuce in the grocery store my Mom shopped in. No pre-washed bag of a selection of greens. It was Iceberg or nothing. Being stuck in the gastronomic age of Iceberg Lettuce wasn’t necessarily by choice; it was the only thing out there, for the most part. 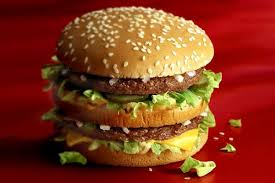 The “Big Mac” from McDonald’s. What gastronomic age are you if you eat these all of the time? When my Mom baked, she would bake cookies (chocolate chip, sometimes oatmeal/raisin), lemon bars, Mexican wedding cakes, and Betty Crocker cakes with gobs of frosting (my Dad loved gobs of frosting). My nine-year-old gastronomic taste did not include sweet stuff, although I ate a fair bit of it growing up. I outgrew it, though, and for many years, I have eschewed anything remotely sweet, preferring the savoury side of life. Since I left the family home (many moons ago), I have never purchased a box of “Shake n’ Bake’, nor a can of “Beefaroni”, and I’ve never made “Cheesy Pups”. 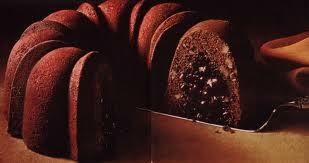 I once baked a Tunnel of Fudge Cake for a party I was attending, and had Iceberg Salad at a “retro” party. I never liked “Underwood Deviled Ham”. Did I evolve past a gastronomic age of nine? I learned to drink coffee without sugar (but never without the cream). I love hot sauces and have a cupboard full of them, from the relatively benign to suicidal. I can’t remember the last time I bought a head of Iceberg Lettuce and I thought Tang went the way of the dinosaurs (it should have). Deviled eggs have become trendy again and I recently made a batch. I like mizuna and friseé, but never developed a taste for radicchio. 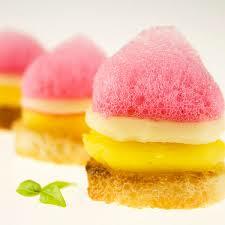 I have not tackled molecular gastronomy in any form. I do have a food dehydrator and a pressure cooker, but no bottle of liquid nitrogen in my kitchen. I love my solar oven. My halogen oven, well, it’s OK. All in all, I may have progressed to the gastronomic age of thirty-something, or not. What gastronomic stage do you place yourself at? Lasserre’s Restaurant, Paris, France. 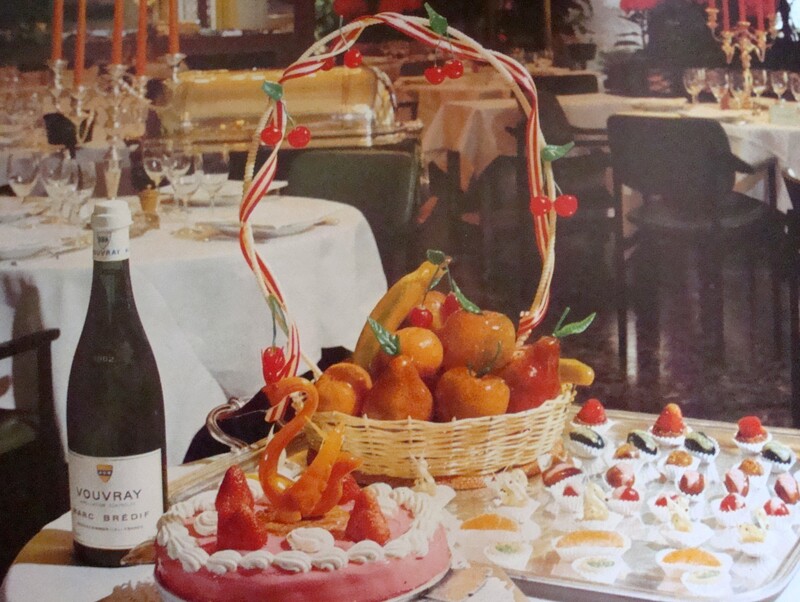 From “Masterpieces of French Cuisine”, 1971. Recipes provided by the Chef, Rene Lasserre. 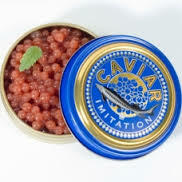 My guess is this would put you at a gastronomic age of about 70. Le Cheval Rouge, Montoire-sur-le-Loir. 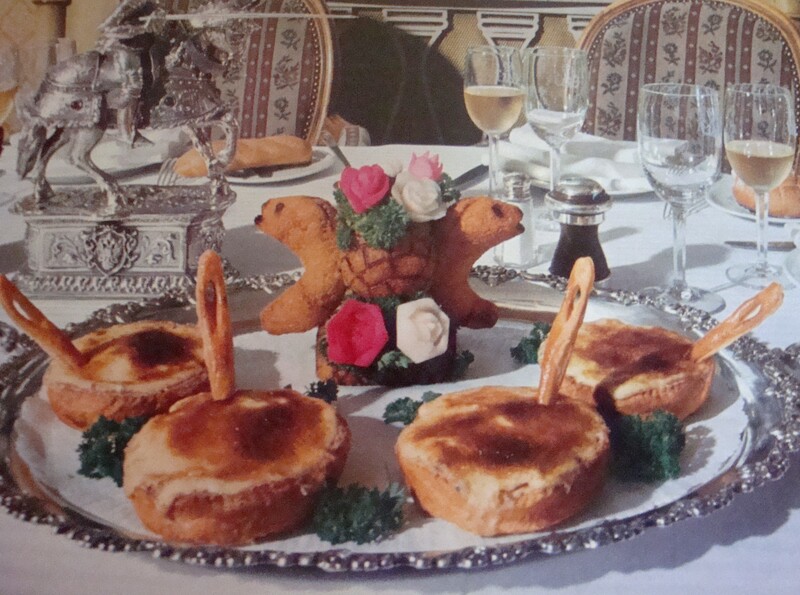 From “Masterpieces of French Cuisine”, 1971. Recipe provided by Chef Robert Herve. Gastronomic age of 50? This entry was posted in Cookbooks, Cooking, Cooking and Social History, Cooking Technology, Eating, Food Trends, Vintage Cookbooks and tagged Annette Hope, Beefaroni, cookbooks, Cooking, El Bulli, English Cuisine, Ferran Adria, food history, Gastronomic Age, Geoffrey Chaucer, Kitchen Gadgets, London, Molecular Gastronomy, social history, time capsules, Wylie Dufresne. Bookmark the permalink. 1 Response to What’s Your Gastronomic Age?